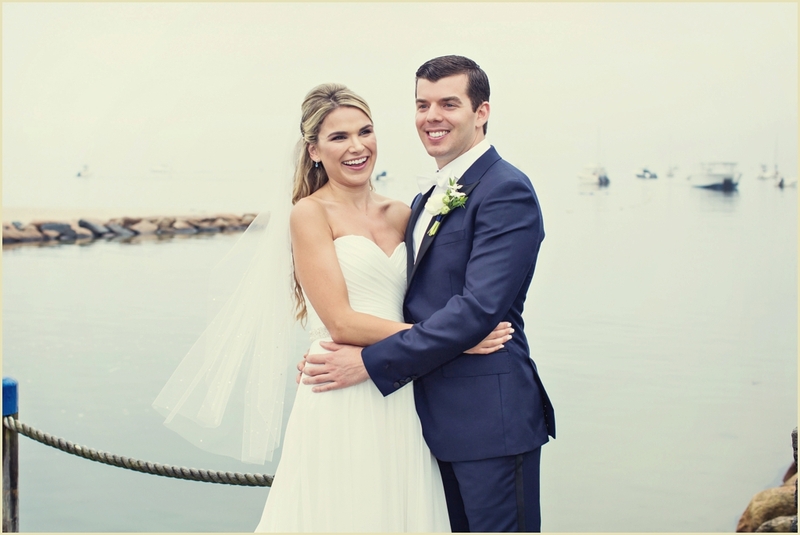 When we asked Chloe and Jeff how the envisioned their dream wedding day, they said they wanted a “nautical, classic New England wedding”. 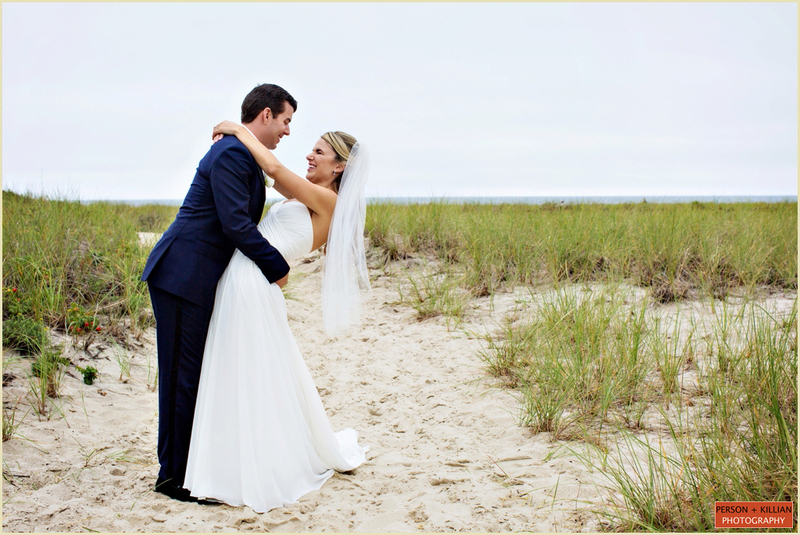 Their Cape Cod summer wedding at Wychmere Beach Club turned out to be all they wanted and more. 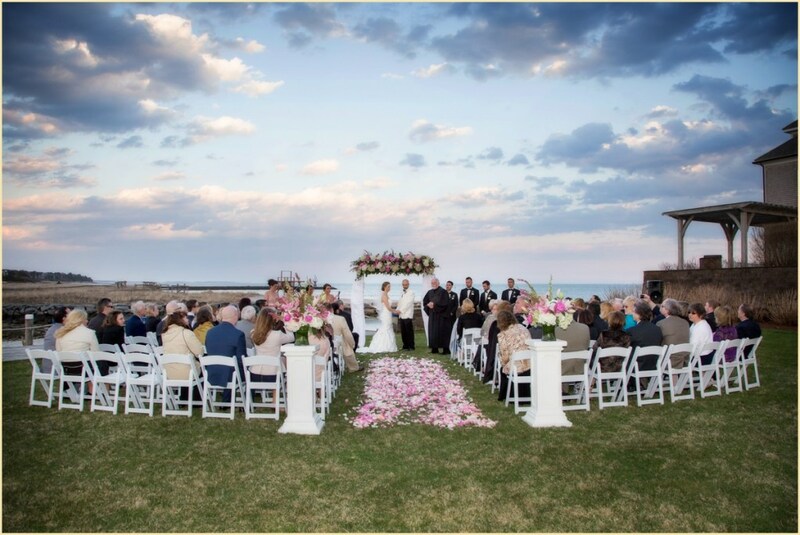 The Wychmere Beach Club (part of Longwood Events) is a quintessential Cape Cod wedding venue with a beautiful waterfront, docks full of sailboats, and a sandy stretch of beach. 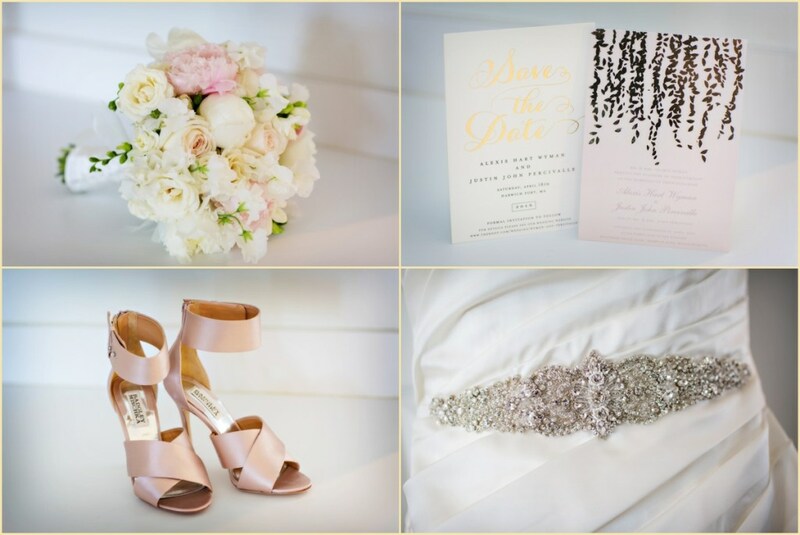 Chloe and Jeff took advantage of all this venue has to offer, starting with the bridal suite where Chloe and her bridesmaids got ready for the day’s events. 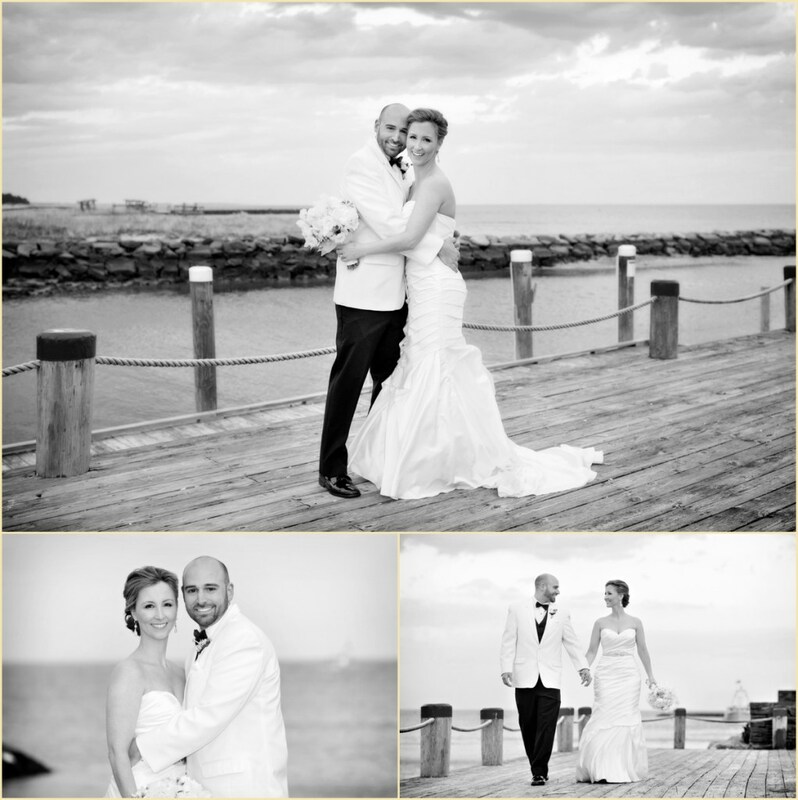 The bride and groom had their first look on the docks overlooking the harbor, and were soon joined by their bridal party for some formal photos on the waterfront and nearby lawn. 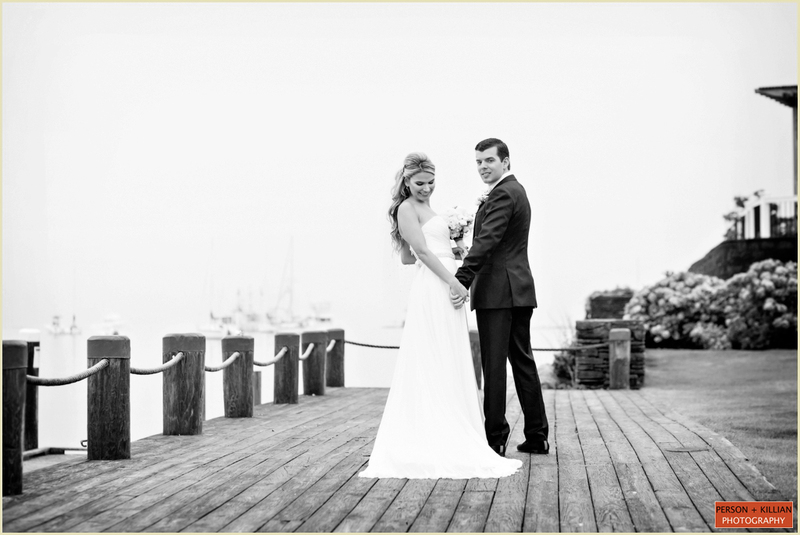 The afternoon wedding ceremony was set up on the upstairs deck overlooking the water. 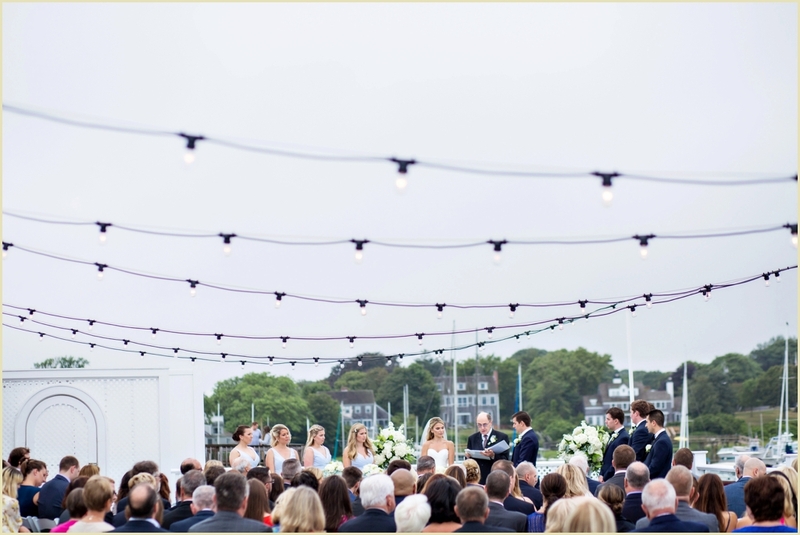 Chloe and Jeff said their “I do”s in front of family and friends underneath a canopy of festoon lights. 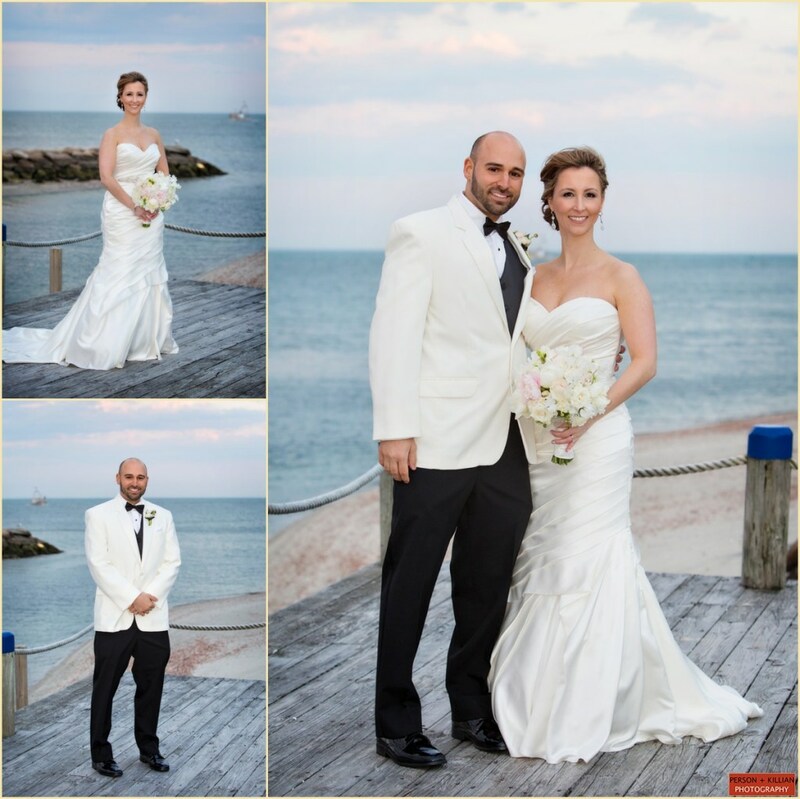 Following the ceremony, guests enjoyed cocktails on the deck while we took the new husband and wife out onto the beach for some photos with the gorgeous backdrop. 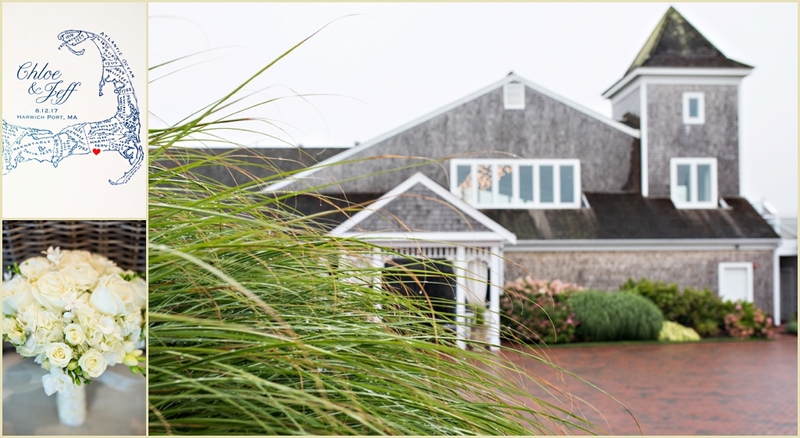 The wedding reception took place in the Wychmere Beach Club’s upstairs Ocean Room. 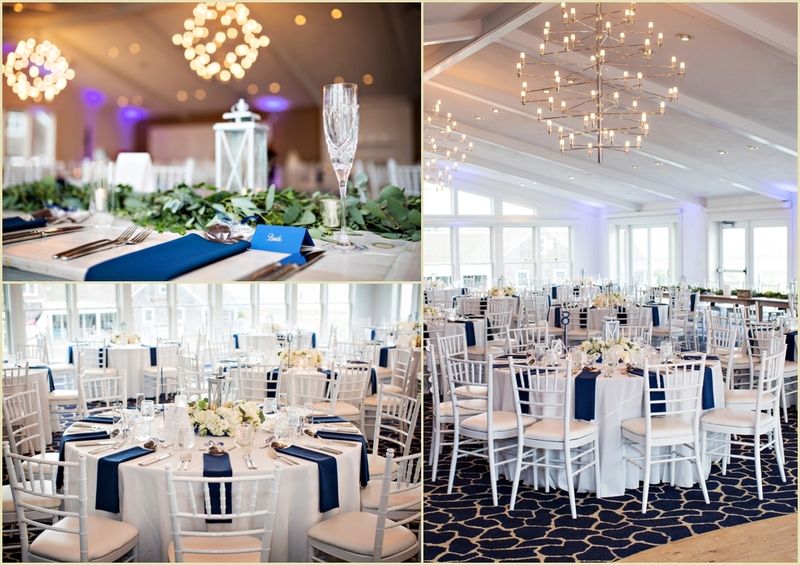 The couple chose classic white linens with accents of navy blue for the traditional nautical theme, which matched perfectly with the Ocean Room’s navy and white carpeting. 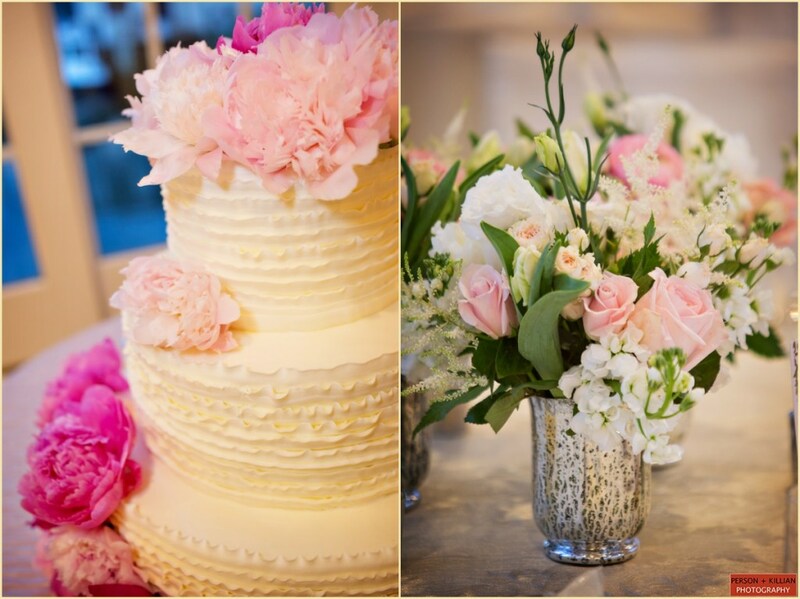 Each table was topped with white and green florals and elegant white lanterns to complete the classic look. 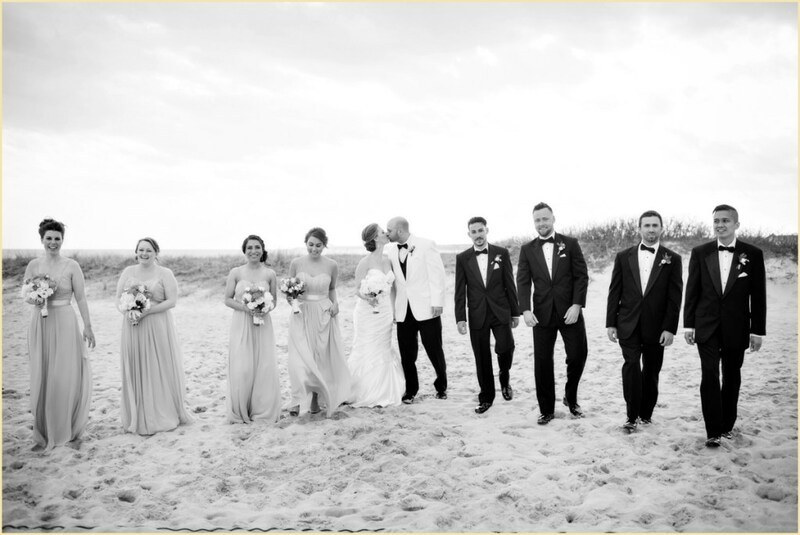 This Cape Cod wedding was a dream come true for the happy couple, and we had so much fun joining them and their loved ones on this very special day. 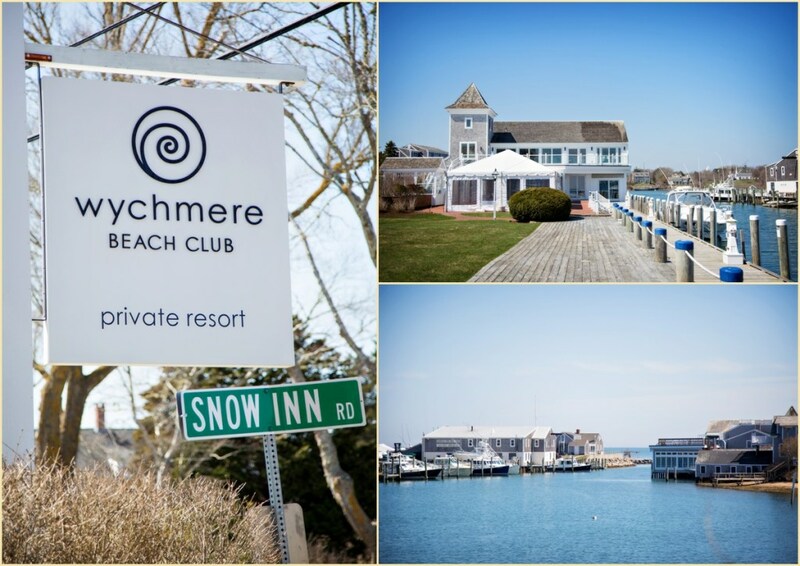 Special thanks to Heather and her team at the Wychmere Beach Club for a gorgeous event, and to Chloe and Jeff for letting us be a part of it! 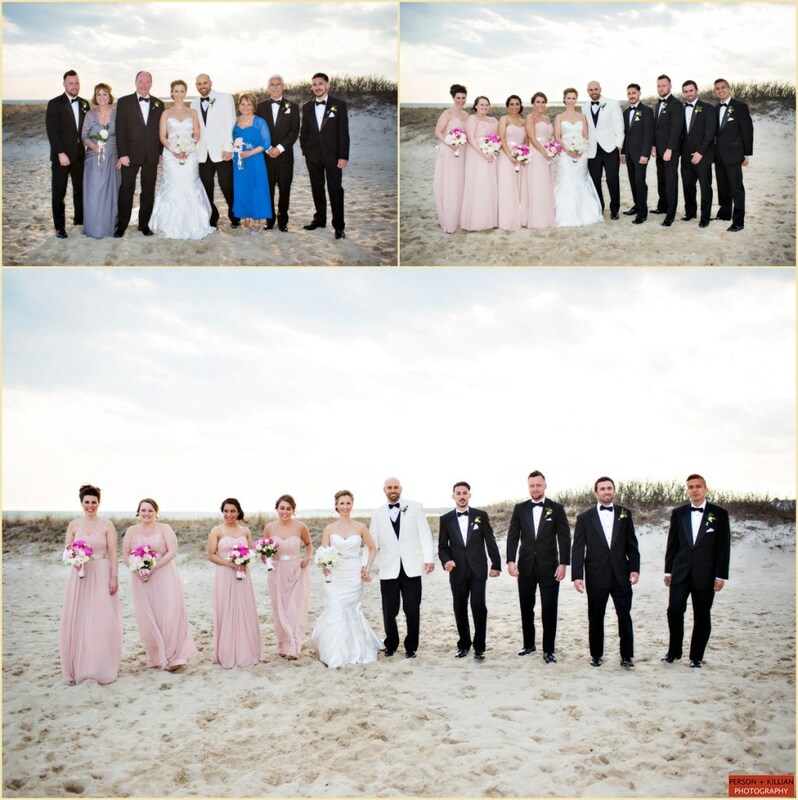 The weather is finally beginning to warm up, and we were delighted to head to the beach for Alexis and Justin’s Cape Cod wedding at the Wychmere Beach Club. 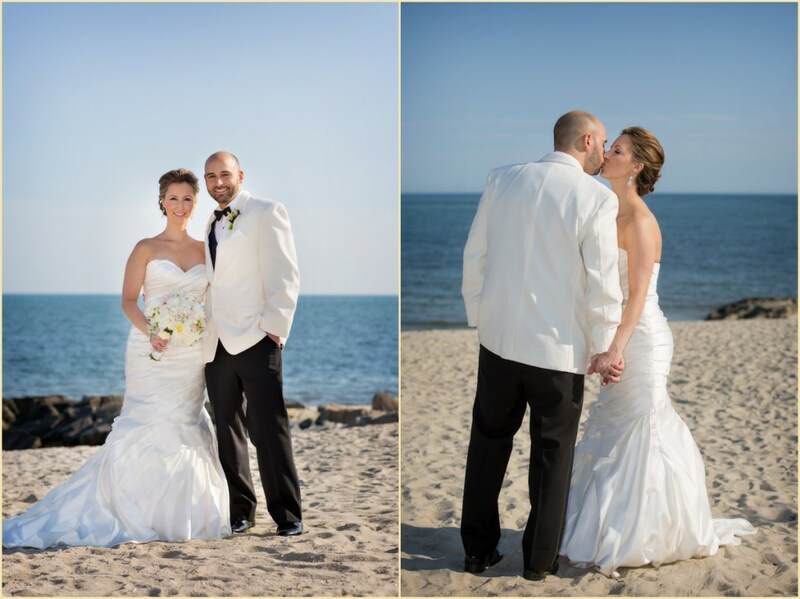 After getting ready at a nearby inn, the bride and groom met on the beach for their first look. 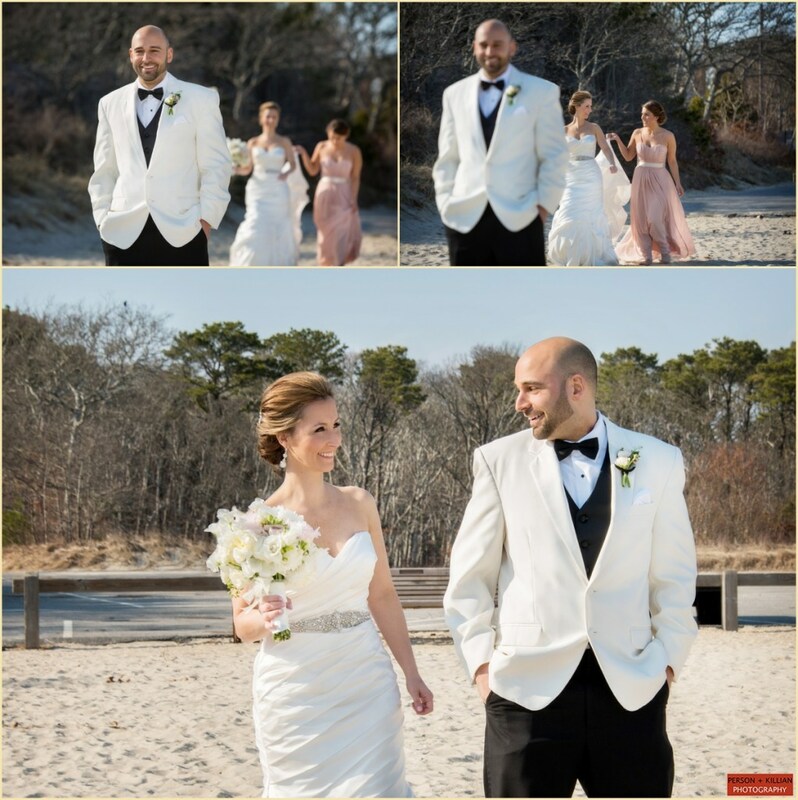 With the beautiful weather, we were thrilled to spend time on the private beach at Wychmere for photographs with the couple and their wedding party. 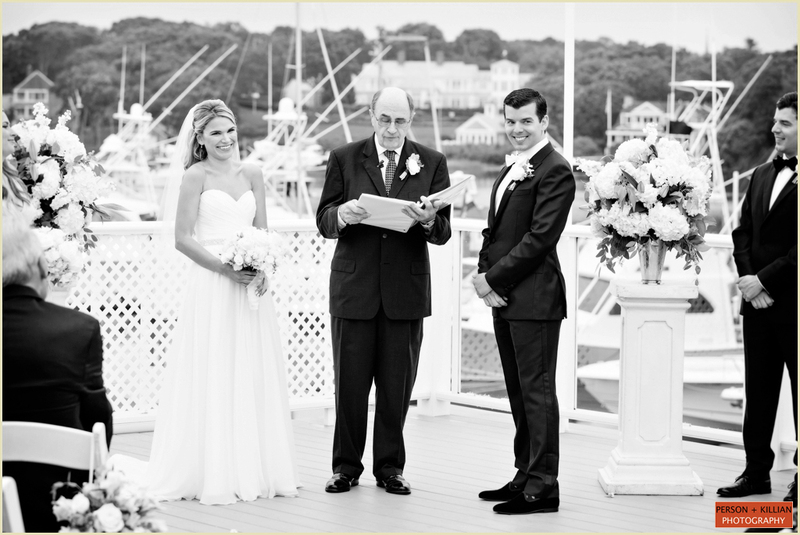 The ceremony was held ocean-side on the Wychmere lawn at sunset followed by cocktail hour in the Hydrangea Room. 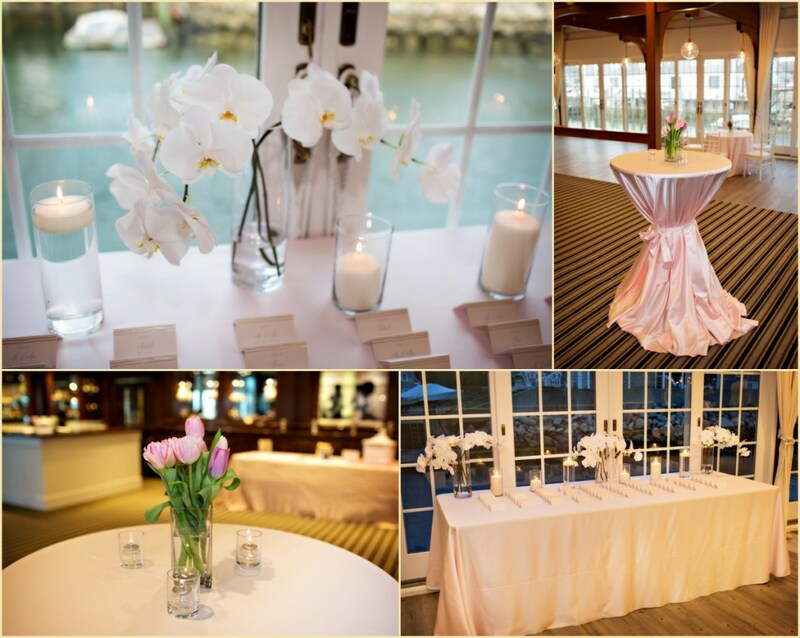 For the reception, guest were welcomed into the Harbor Room filled with blush, white and gold décor and soft violet lighting. 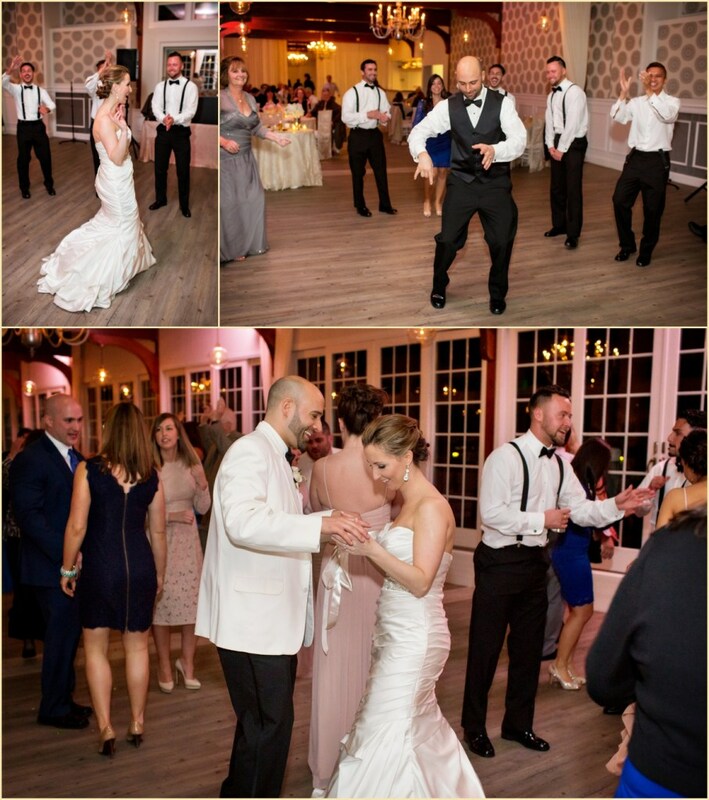 Guests enjoyed a panoramic view of the serene Cape Cod Harbor for dinner, dancing and celebrating with the bride and groom for the evening. 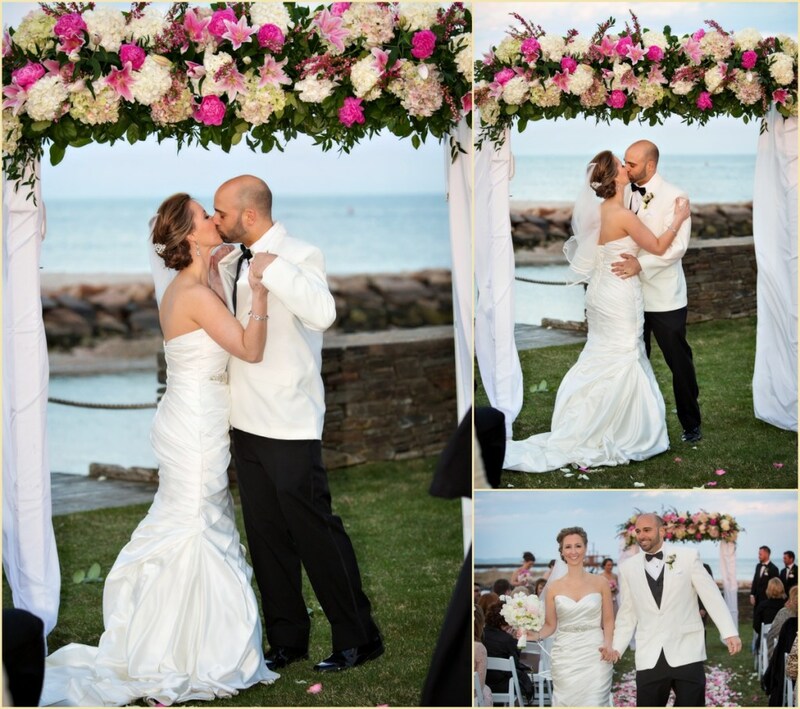 Congratulations Alexis and Justin and thank you to the Longwood Events team for being so wonderful to work with as always! Hair: Melissa Noel, Makeup: Jenn from Dani Wagener Beauty, Invitations/Paper Products: Minted.com, Flowers: Fancy Flowers, Cake: The Casual Gourmet, Linens: Rentals Unlimited, Lighting: Wychmere Uplighting, Ceremony Music: Intermezzo Chamber Players; Reception Entertainment: 5 Star Events, Event Planning: Heather Valeri for Longwood Events. 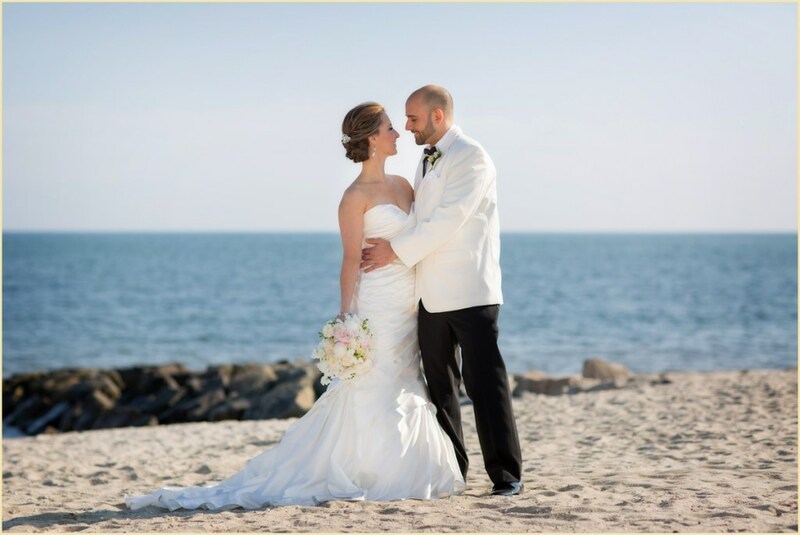 The Elegant Wychmere Beach Club Wedding of Alexis + Justin. Post filed under Spring Weddings. 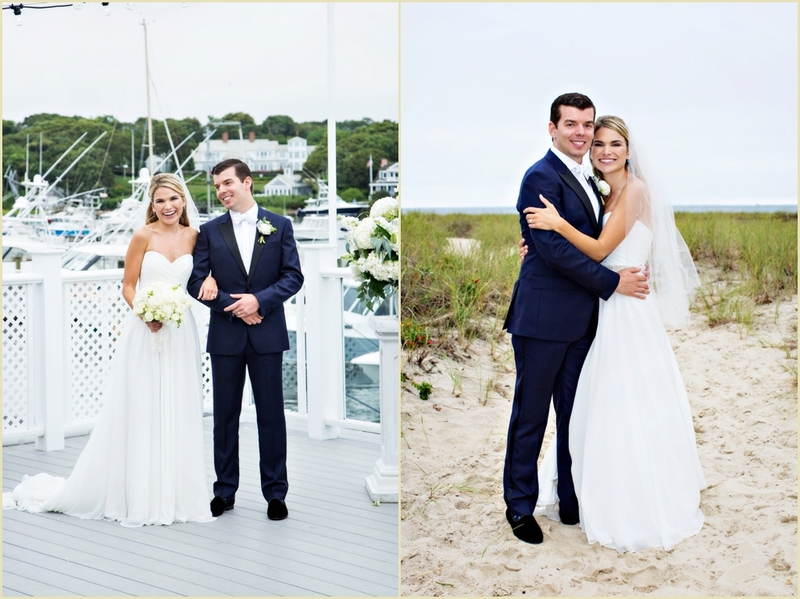 The Cape has always been the “happy place” for both Jessica + Jon. 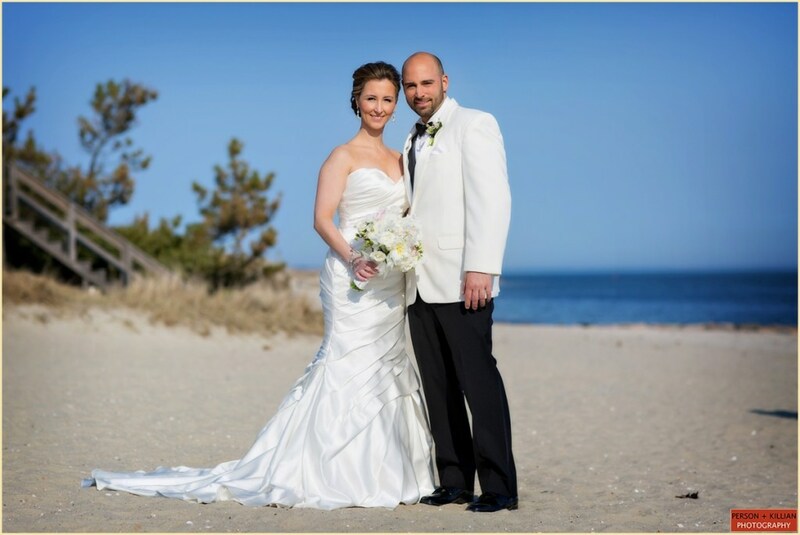 Jessica’s family summered on the Cape for her entire life, and Jon’s family has set their roots on the Cape for over 50 years! 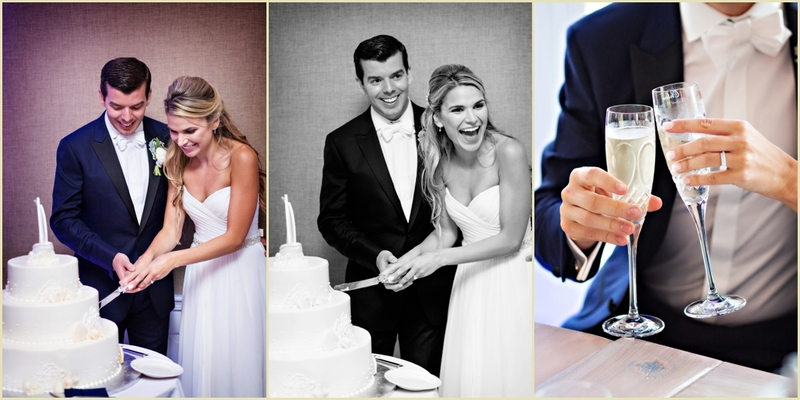 When it came time for the two to plan their wedding, choosing the Cape was an easy decision. 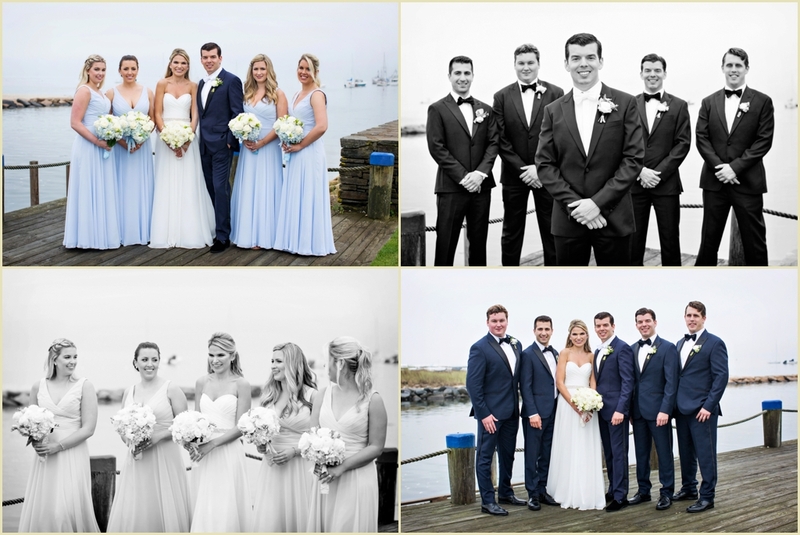 We joined Jessica + Jon for a beautiful weekend at the Wychmere Beach Club, which included a traditional New England lobster bake, seaside photos, a classic church wedding ceremony, and an elegant black tie wedding reception with a contemporary urban twist. 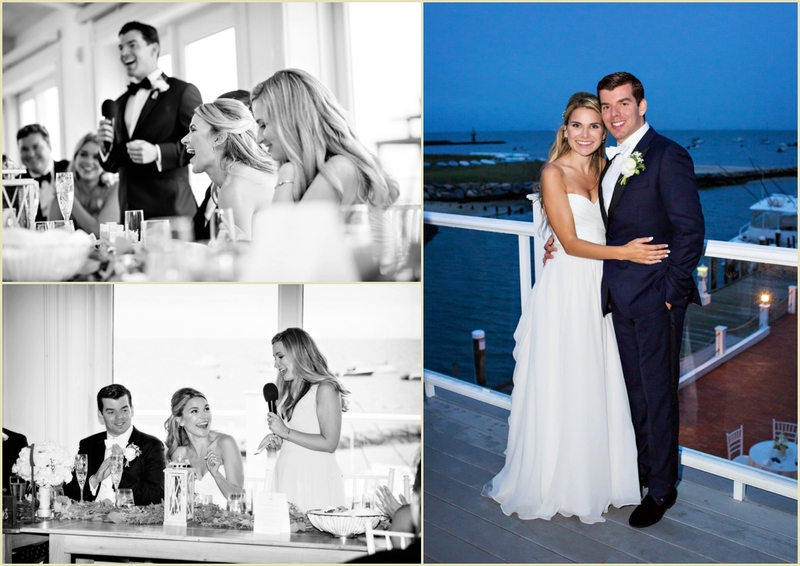 The weekend started on Friday evening, with a classic lobster bake rehearsal dinner. 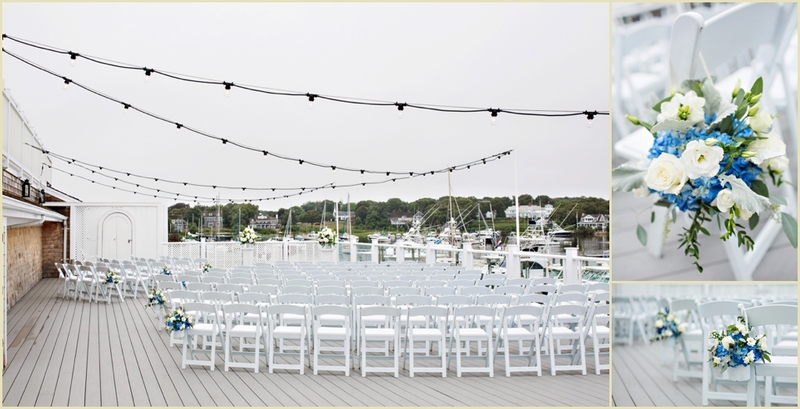 A tent was installed on the Wychmere Beach Club’s private beach, overlooking the beautiful New England seaside. Customized games (which would make another appearance at the cocktail hour the following day!) 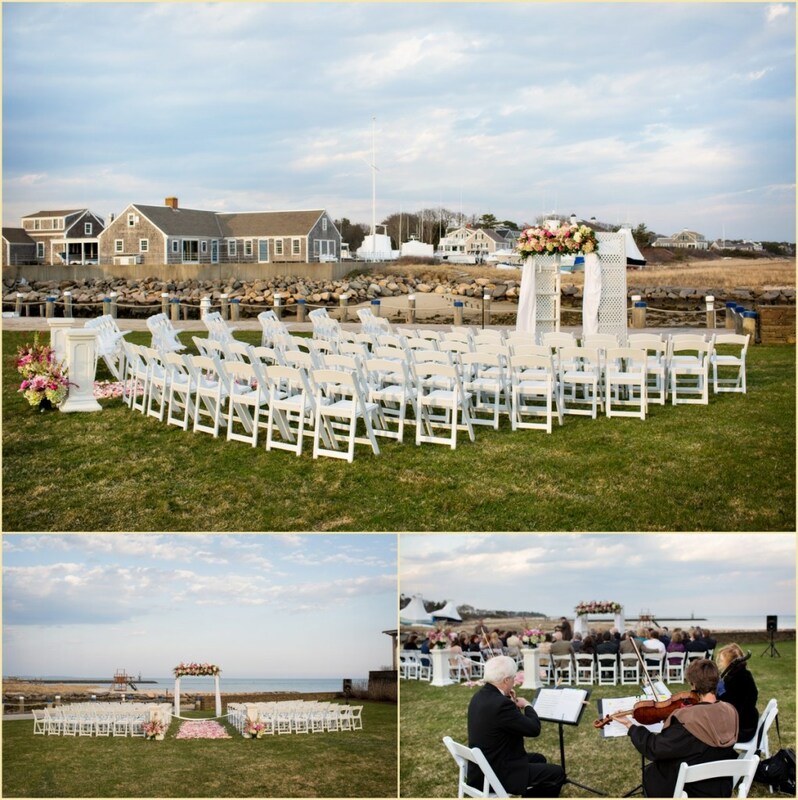 were set up on the sand for guests to play and rustic wooden lanterns were set up along the boardwalk to light the way. 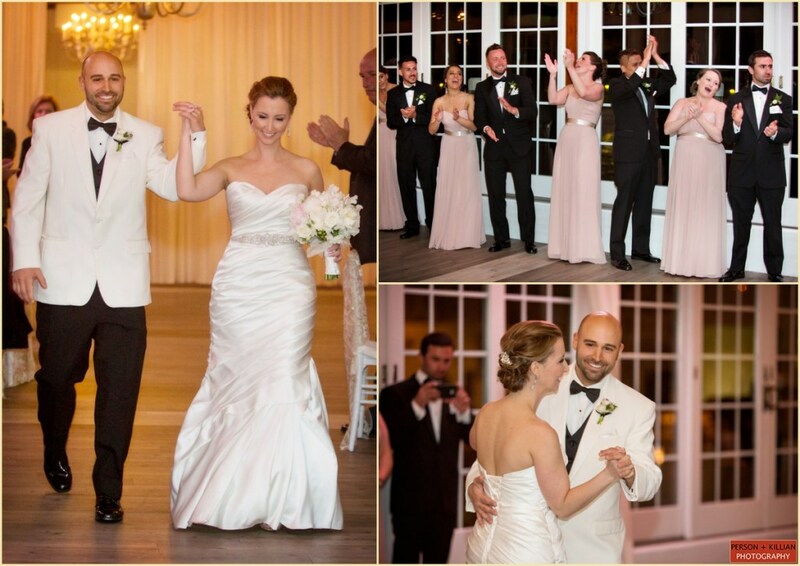 Everyone enjoyed dinner, while Jessica + Jon heard special toasts from their closest family and friends. As soon as the sun set, the tent was lit up with sparkling strings of lights and a bonfire was roaring out on the beach for everyone to enjoy. 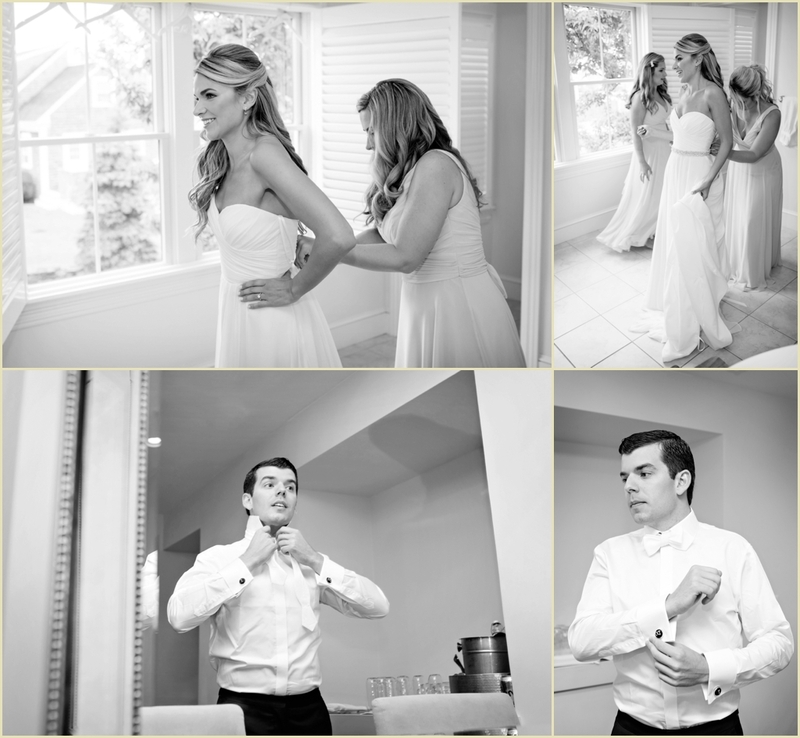 The next morning began the wedding day — Jessica and her bridesmaids got ready in the Wychmere Beach House’s bridal suite, while Jon and his groomsmen hung out in the Wychmere Cottage (sometimes called the “Groom Cottage” for weddings)! The bride’s bouquet was a gorgeous mix of greens, white roses, and deep red flowers — perfect for an early Autumn wedding. She chose a strapless, mermaid-cut Anna Maier gown, matched with sparkly Jimmy Choo shoes and a glittering silver hair piece. 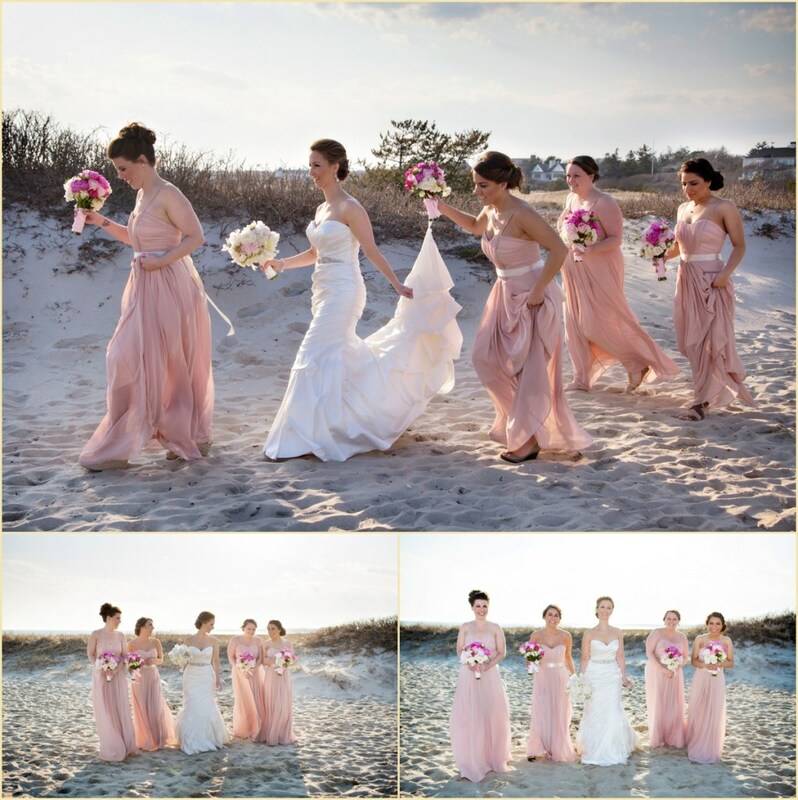 We left her bridal party inside to finish getting ready while we took Jessica out onto the beach for her first look with Jon! 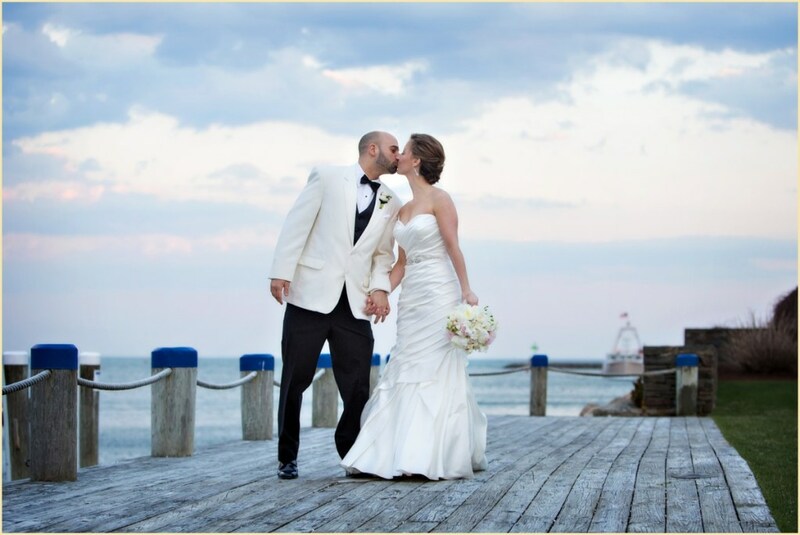 The bride and groom had their first look on the boardwalk overlooking the Cape Cod beach. 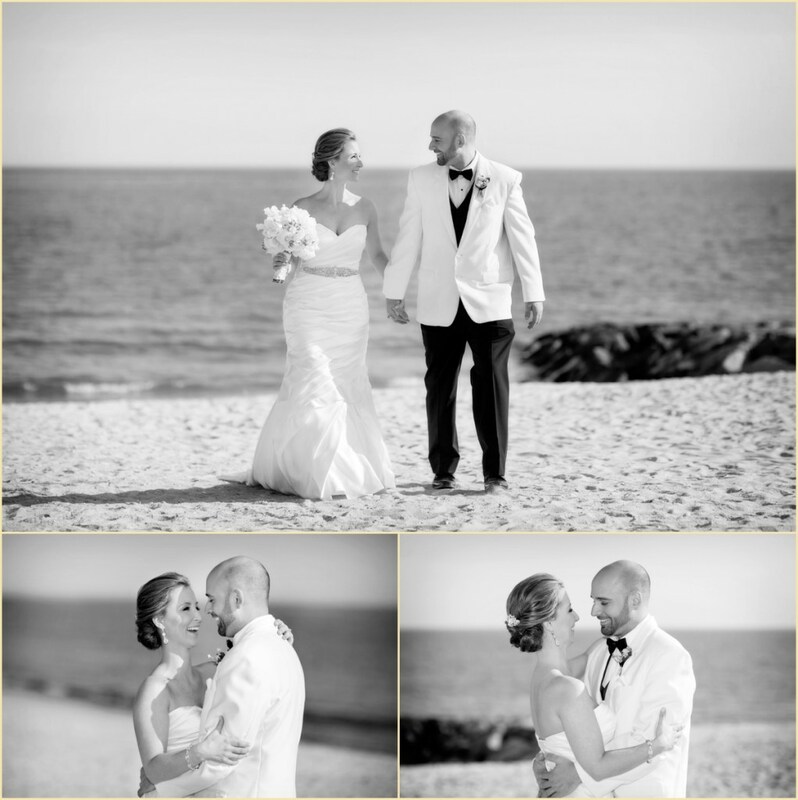 We braved the blustery wind to get some great shots of the happy couple along the beautiful beach before heading back inside. 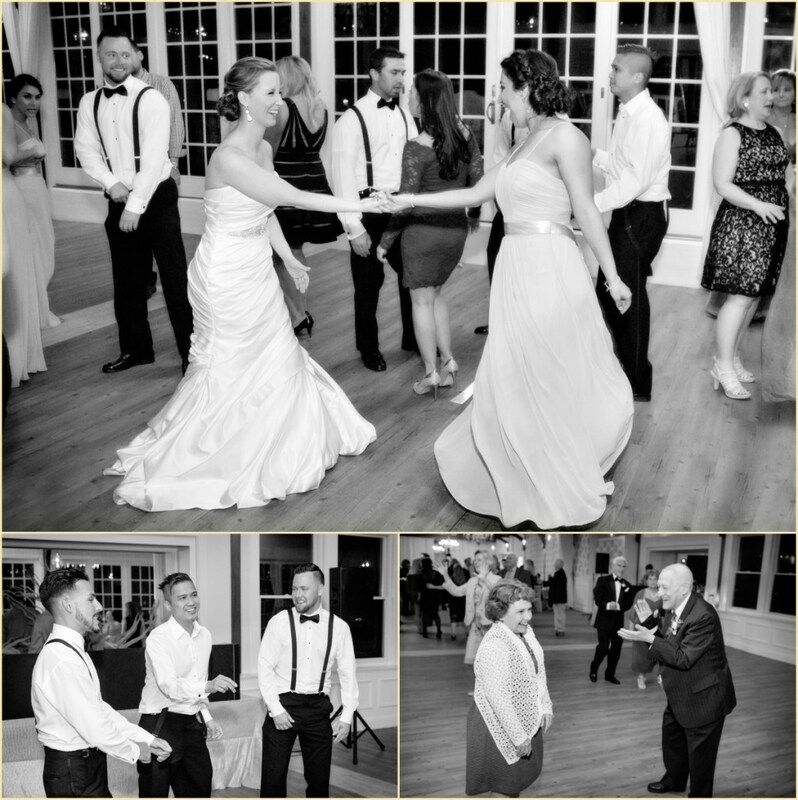 We took a few more romantic photos of Jessica + Jon inside the Wychmere before we were joined by the bridal party and family for formal photos. 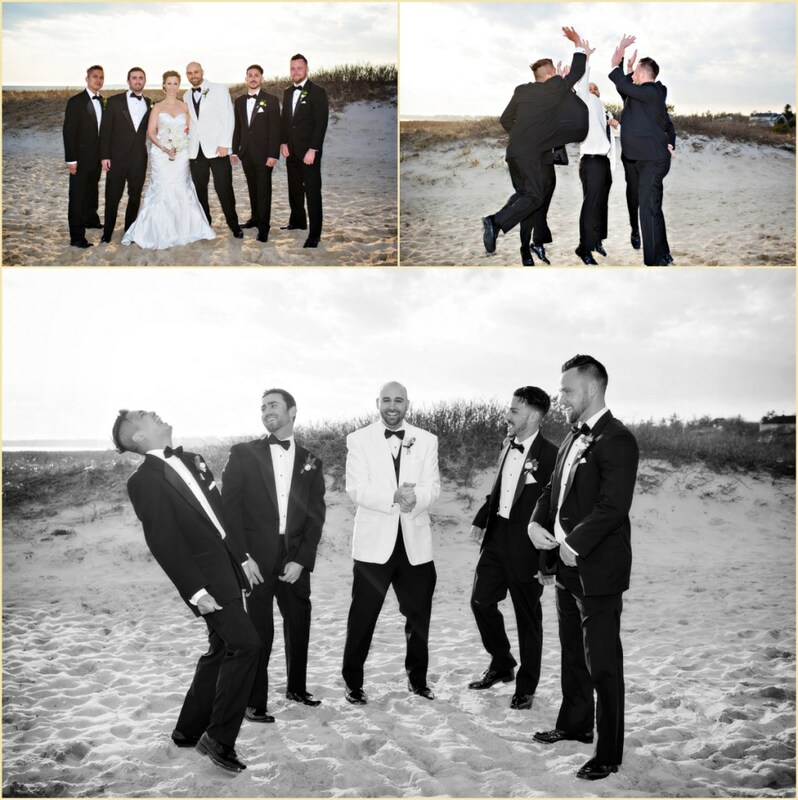 Following formals, the wedding party hopped a ride in a Cape Cod Trolley to the wedding ceremony while Jessica rode with her dad in a classic white Rolls Royce. 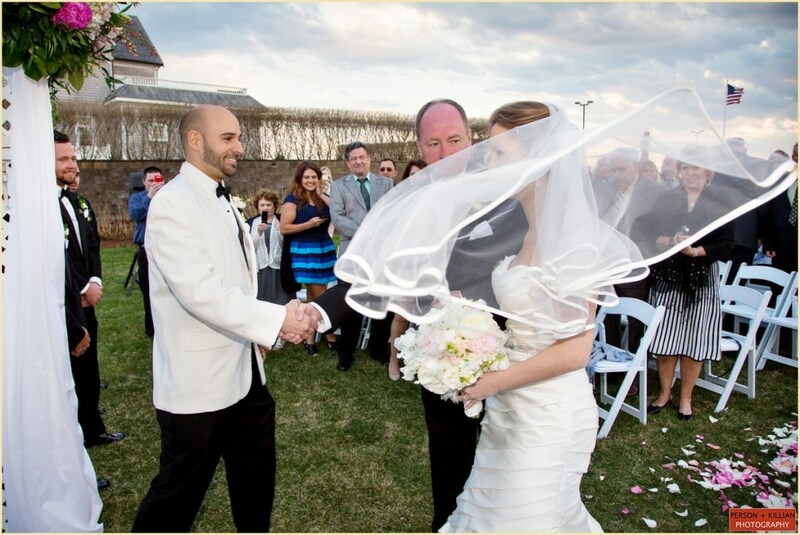 After the traditional wedding ceremony at the nearby Pilgrim Congregational, guests headed back to the Wychmere to await the big arrival of the happy newlyweds. 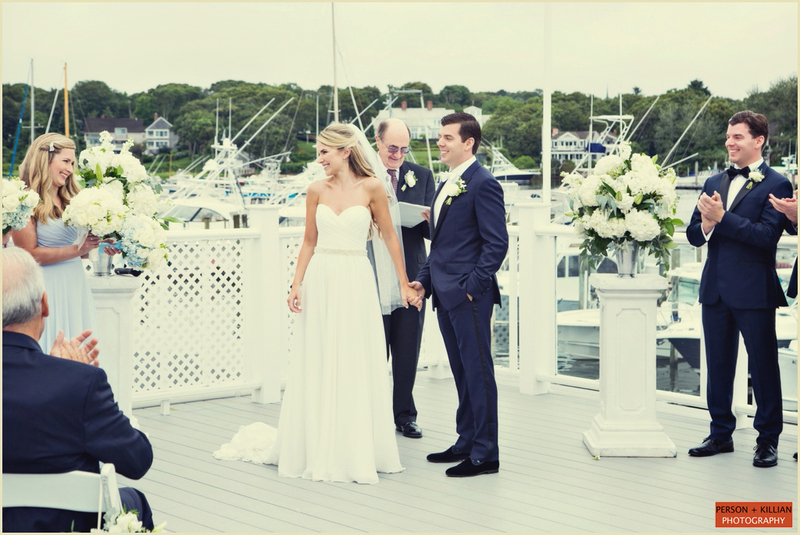 Jessica + Jon made their grand entrance to cocktails on a sailboat, while everyone cheered them on from the dock! 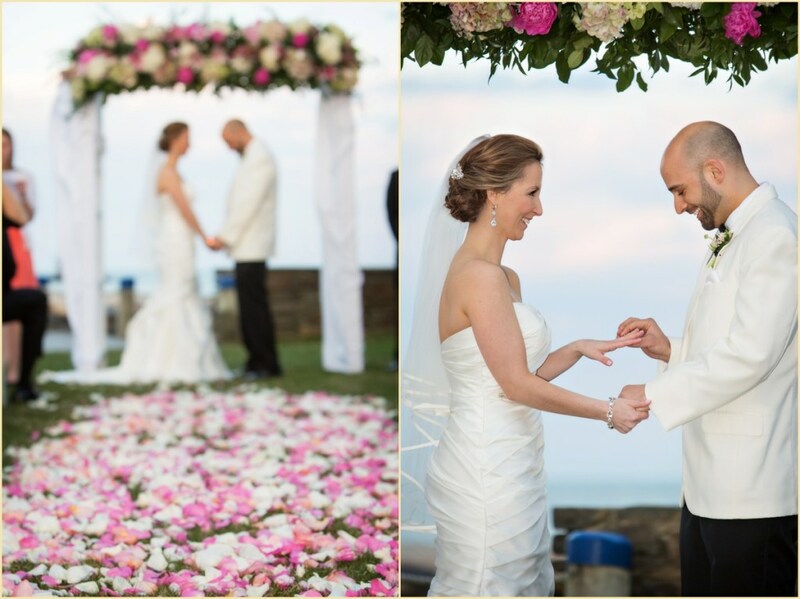 Some guests stayed outside to enjoy the seaside view and lawn games, while others moved inside for the hors d’oeuvres and raw bar in the Wychmere’s Hydrangea Room. 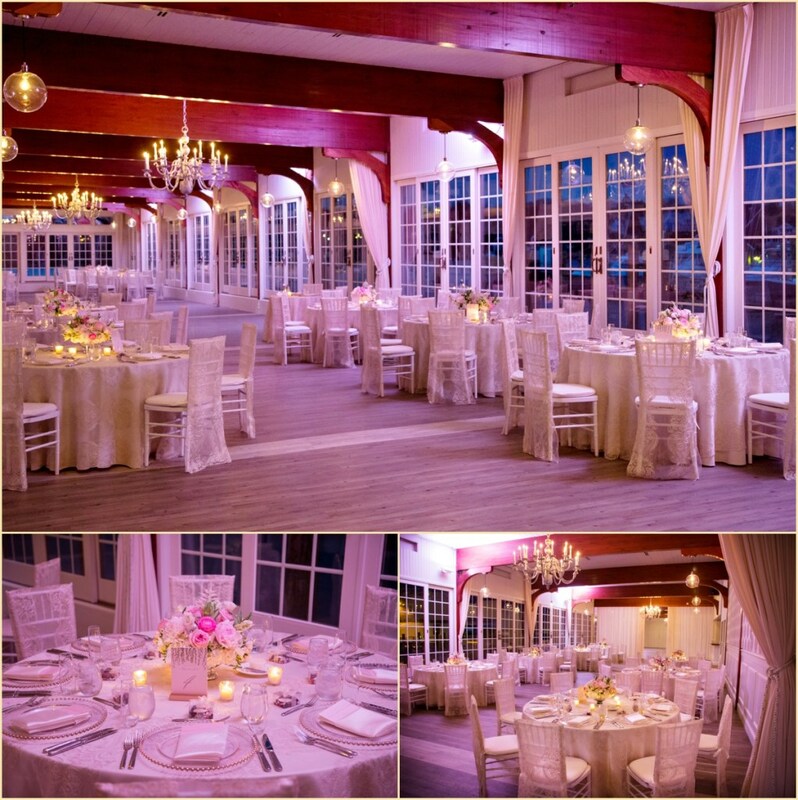 The elegant evening reception took place in the Harbor Room, named for the panoramic windows giving a perfect view of the Cape Cod harbor right outside. 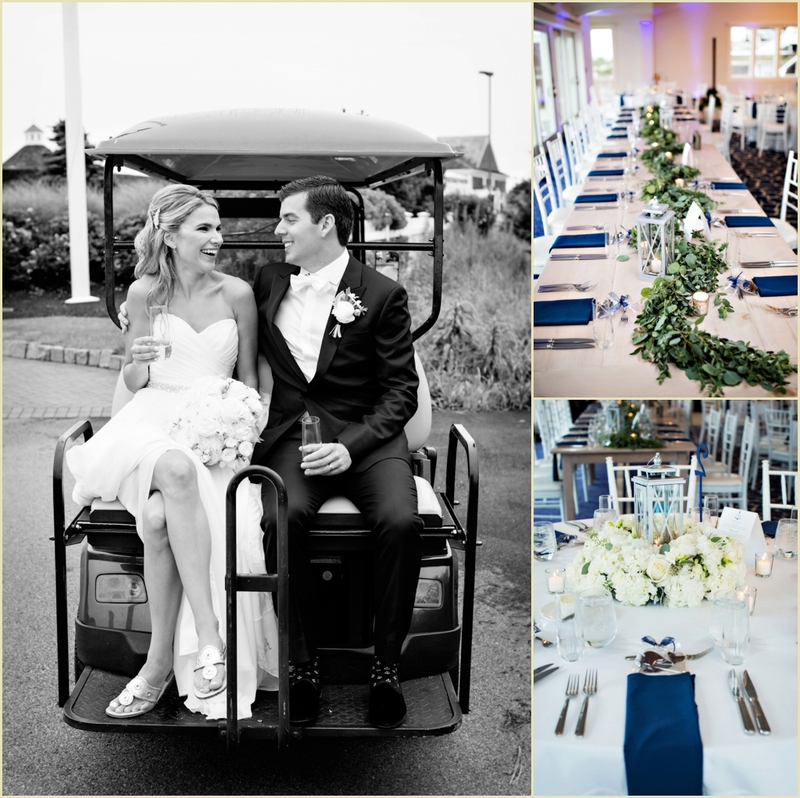 The tables were topped with silver linens, with accented pops of dark navy blue from the table name cards and ribbon-wrapped candy boxes on each place setting. 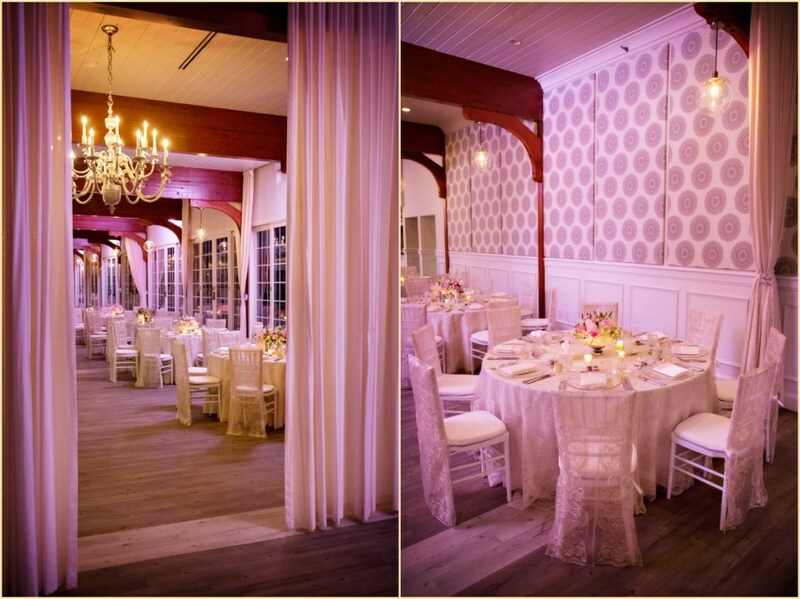 The wooden beamed ceiling and silver chandeliers made the room elegant and contemporary, and the towering white floral centerpieces from Marc Hall Design were definite show-stoppers. 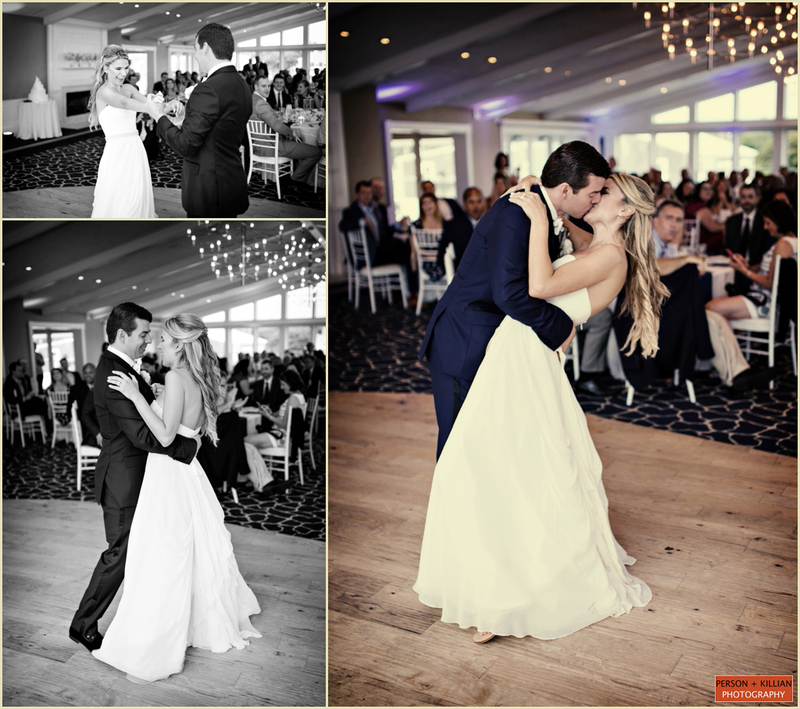 Jessica + Jon’s custom “J&J” monogram was even projected onto the dance floor using lights. 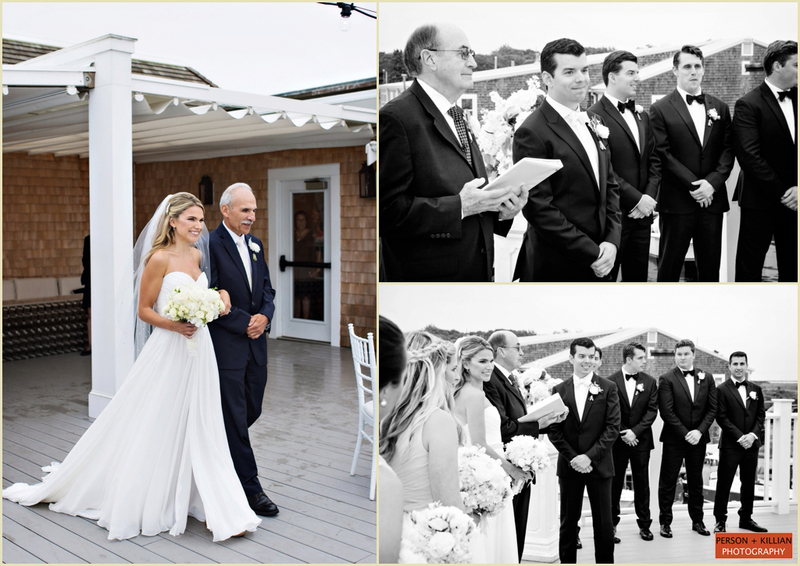 We absolutely loved being a part of this traditional black tie Cape Cod wedding at the Wychmere Beach Club, especially knowing how special the Cape was for Jessica, Jon, and their families! 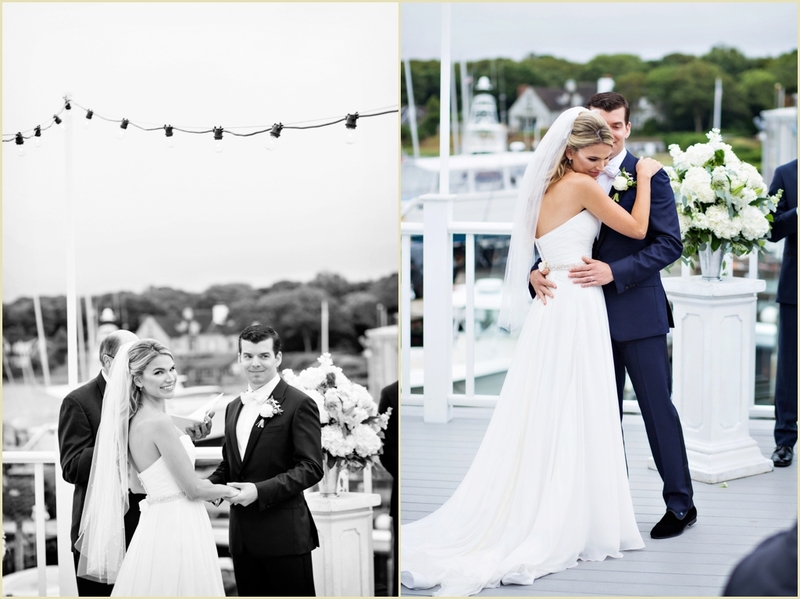 Thank you to the fantastic group of vendors we got to work with, the entire team at the Wychmere, and Jessica + Jon for letting us be a part of your fabulous Cape Cod wedding day.